Lock in a great price for B&B La Ferme Delgueule – rated 9.2 by recent guests! The apartment was spacious and clean. We were a group of six and the living room space was perfect to socialise. Parking was on the property. 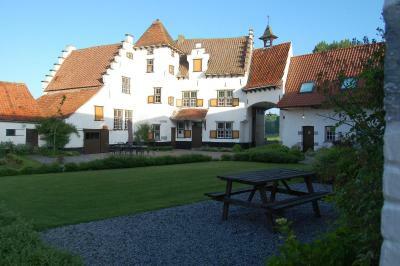 A very beautiful old building, the house of a working farm, with good facilities and a good breakfast. Individual rooms are very modern, spotlessly clean, and there is a sitting room with complimentary tea and coffee and an honesty fridge for cold drinks. 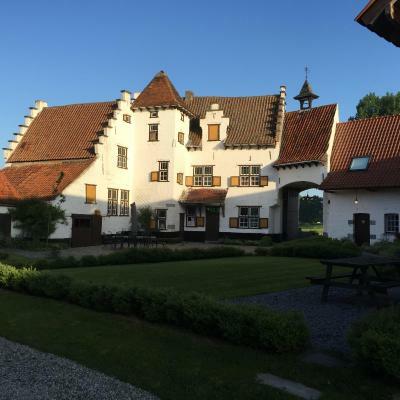 Lovely courtyard and breakfast room, beautiful cows in the nearby fields! 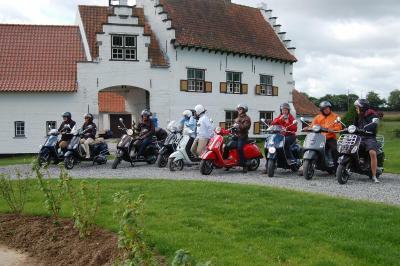 My wife and I stay at this Farmhouse B&B every time we are in Tournai, 3 to 4 times a year. The young family who own the establishment are more than gracious. 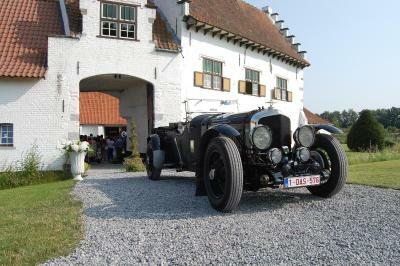 There is no restaurant on site but they offer a fabulous breakfast, and it is a short drive to Tournai. Highly recommend! Very comfortable and spotlessly clean room. The kitchen & sitting area are an added bonus. Hosts very welcoming and friendly! Fantastic accommodation in beautiful countryside which is not far from the town centre. Quiet, clean and spacious room with a comfortable bed. Free coffee available. Love to stay again in the future. Highly recommended. 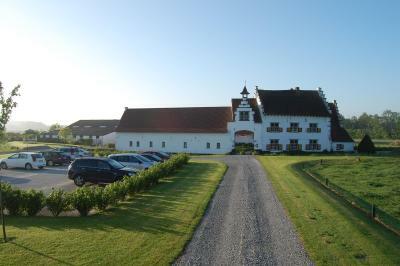 Beautiful old farm, quiet area, yet close to highway - perfect for an overnight stay on a road trip. 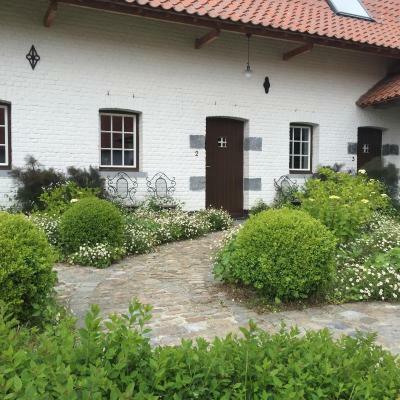 Location, rooms, friendly owner, Belgian Blue Cows outside! Drinks facility in lounge room. Well appointed rooms in a beautiful setting, separate communal room with free tea/coffee and a well stocked fridge with beer and wine at reasonable prices. Well worth a stay. One of our best sellers in Tournai! Surrounded by lush, green fields, this family-run bed and breakfast is set in a 17th-century farmhouse. 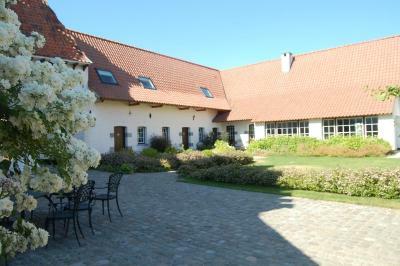 It has a large garden with a furnished terrace and barbecue. 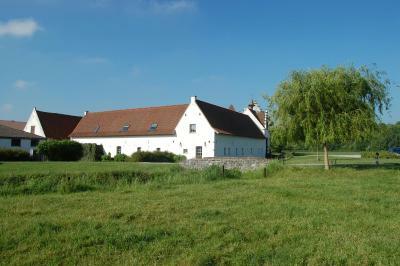 BéB La Ferme Delgueule is also an official Belgian monument. The individually decorated rooms at La Ferm Delgueule overlook the garden. Each comes with a flat-screen TV and a modern, private bathroom. Free Wi-Fi is available in each. A buffet-style breakfast, including omelets, fresh fruit, and coffee, is served daily. In the evening, it is possible to enjoy a home-cooked meal with the owners. The E42-motorway is about 5 minutes’ drive from B&B La Ferme Delgueule. The center of Tournai, with its Expo Center, is about a 5 minute drive away. 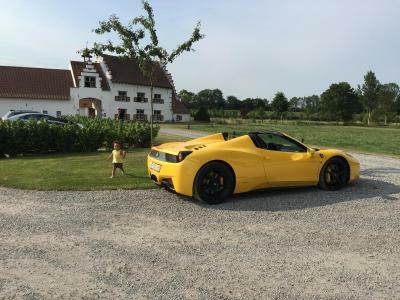 This property is also rated for the best value in Tournai! Guests are getting more for their money when compared to other properties in this city. 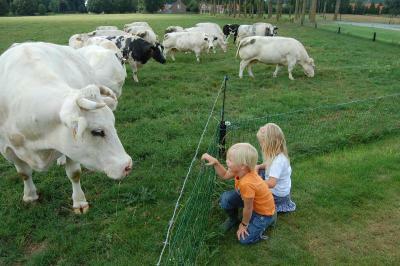 When would you like to stay at B&B La Ferme Delgueule? This individually decorated room overlooks the garden. It includes a flat-screen TV and a modern bathroom with a shower and hairdryer. Featuring a small terrace with access to the garden, this room is decorated in warm colors and includes a flat-screen TV. The modern bathroom has a shower and hairdryer. Featuring wooden-beamed ceilings, this stylish suite includes luxury bedding and a small seating area with a flat-screen TV. It also has a large bathroom with a walk-in shower. All four bedrooms have a private bathroom. In addition, there is a large kitchen and a living room. House Rules B&B La Ferme Delgueule takes special requests – add in the next step! B&amp;B La Ferme Delgueule accepts these cards and reserves the right to temporarily hold an amount prior to arrival. B&B La Ferme Delgueule accepts these cards and reserves the right to temporarily hold an amount prior to arrival. Hosts very friendly. Location superb. Breakfast was first class. Would like to come again. Also city sights really worth taking in. Recommend to anyone. we were a bit startled on the first night to realise that we were sharing a landing and a staircase with people in another room- we then took this on board for the following night and it was fine; we would have preferred being told. No concerns. Perfect for us. Be aware to go to the nearby town Mont St Aubert (2km) for restaurants. The three upstairs bedrooms all shared a toilet.